Super Delicious Pork Burrito Bowl…all the deliciousness of a burrito but without the hundreds of calories from the tortilla!! 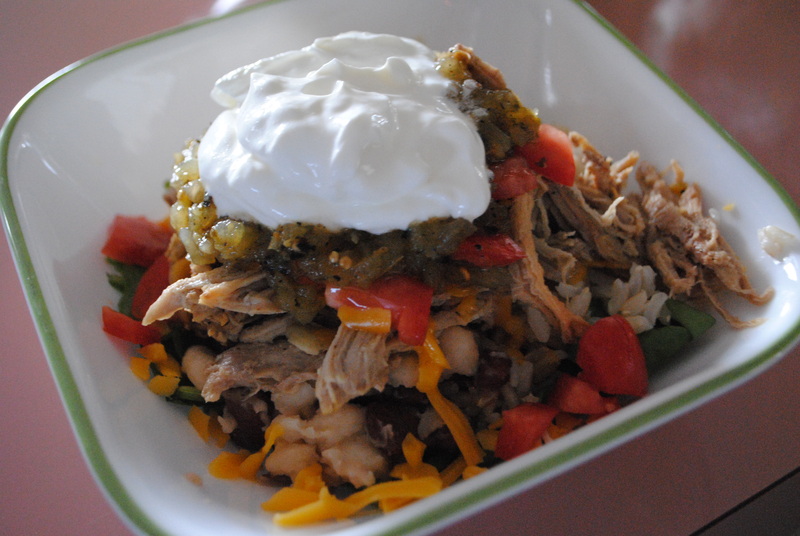 Simply slow cooked pulled pork with recaito and spanish spices…shredded it and put it on top of a bed of brown rice, spinach and beans…then put a little cheese, diced tomatoes, salsa, and sour cream on top. It was SOOOO good!! This entry was posted in Food, Uncategorized and tagged beans, bowl, brown, burrito, cheese, food, healthy, low calorie, low sodium, mexican, pork, rice, salsa, sour cream, spinach, yummy by themcdorkins. Bookmark the permalink.